With millions to be made, Oscars to be won and a ready-made audience of superfans desperate to see their hero portrayed on the big screen, films based on true stories are having a moment. 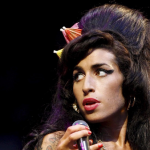 But as the controversial Amy opens in cinemas, capturing the life of a star on screen is fraught with family dramas and legal wranglings, finds Stephen Armstrong. ialci member Annabelle Gauberti was interviewed for this article. Read this article on the legal aspects of creating biopics. This article was published in the Evening Standard on 2 July 2015. Annabelle Gauberti, member of ialci was interviewed for, and quote in, this article.